Welcome to our new weekly feature, Virtually Overlooked, wherein we talk about games that aren't on the Virtual Console yet, but should be. Call it a retro-speculative. This week, we'd like to talk about Snatcher, a Sega CD game from Konami released in the US in 1994. 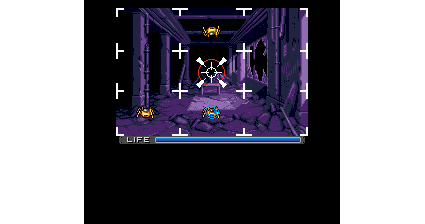 The game was also released in Japan for the MSX2, PC8801, PC Engine CD-Rom, Playstation, and Saturn. Why the game hasn't been announced for Virtual Console yet: Not too long ago, the obvious answer to this question would have been "because it is a graphical text adventure." Luckily, however, the DS has changed that, bringing an era where graphical text adventures are the subjects of rabid fandom. What hasn't changed is that Snatcher is a Sega CD game, and Nintendo has made no announcements regarding support for CD systems. The size of the files may be prohibitive, although it would be possible to save space by compressing the sound and music. Why we think it should be on the Virtual Console: Speaking of rabid fandom, Snatcher sits right at the intersection of two massive, militant fanbases: adventure game fans and Hideo Kojima fans. 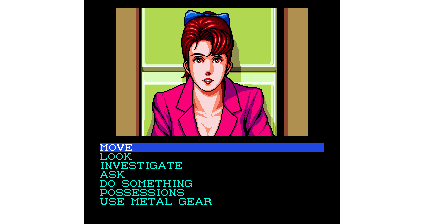 The mastermind behind the postmodern, insane Metal Gear series is also responsible for Snatcher, and Kojimania permeates every aspect of the game, from obvious sci-fi movie influences to self-referential secrets to a Konami-themed bar, all set in a futuristic Kobe, Japan (home of Neo Kobe Pizza!) The Metal Gear Mk.2, seen in Metal Gear Solid 4, even makes its first appearance in Snatcher. 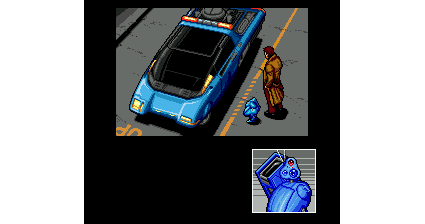 Snatcher features rudimentary shooting sequences, which are kind of a chore with the Genesis controller (Lethal Enforcers owners could also use the Justifier gun) but which would be great fun with the Wiimote ... if Virtual Console games had pointer functionality. The Wii doesn't have much in the way of mature games with deep storylines, and the futuristic noir of Snatcher would fit the bill perfectly, at almost no cost to Nintendo. What would you like to see on the VC? Let us know! Or, if you want to discuss about this week's Overlooked game in the comments thread, we can't think of anything we'd rather do on a Thursday than chat about Snatcher.